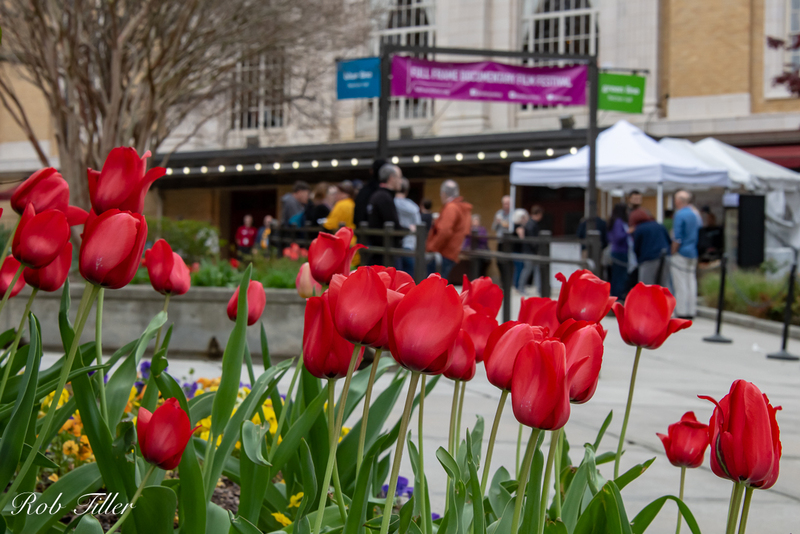 This week Sally and I went back to the Full Frame Film Festival in downtown Durham, and watched 15 or so documentary films. As in prior years, it was an amazing, enriching experience, like a quick trip around the world. 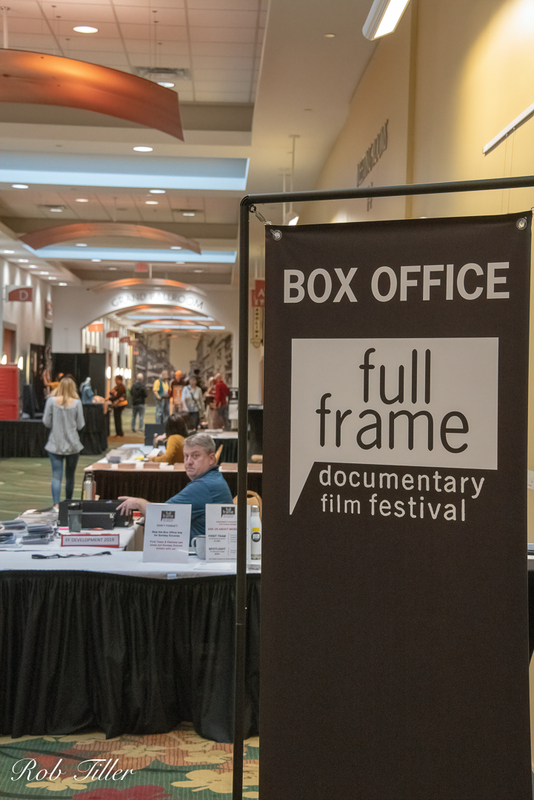 Full Frame is one of the best, or perhaps the best, documentary festival in the country, pulling in filmmakers and fans from far and wide, and we’re fortunate that it’s so convenient for us. As usual, we saw a few Raleigh friends there, but we’re always surprised not to see more. Part of the reason may be lack of knowledge. It isn’t entirely clear from Full Frame’s publicity what it is. From the Festival’s point of view, this doesn’t seem to be a problem, since they seem to sell out most of their showings. But for those missing this amazing experience, it’s worth knowing a few things. 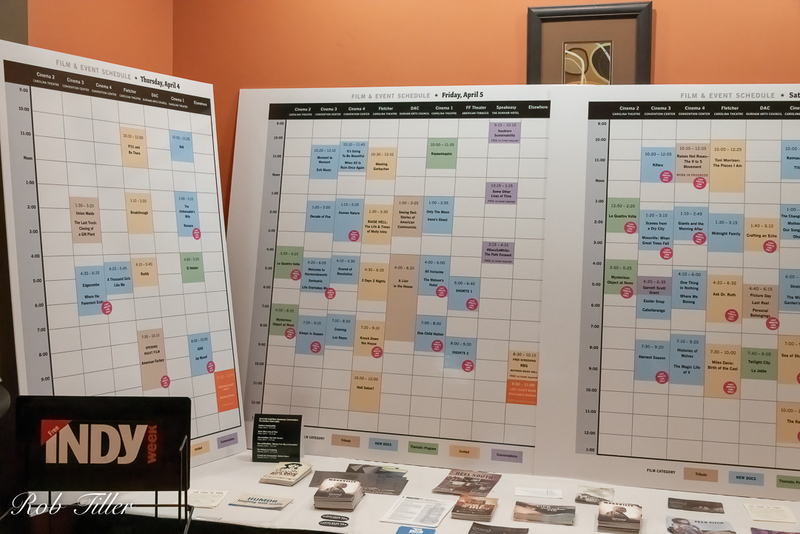 For example, the 70 or so films shown are selected from many hundreds. They are all, in effect, contest winners. There are many subjects and styles. Production values (filming, animation, music) are typically high. More than with typical movie going, it requires a slight leap of faith to buy tickets, since most of the films are new and almost unknown. But we’ve learned through experience that the programming committee knows what it’s doing, and we can trust that almost everything they show will be invigorating. Another fun aspect of Full Frame is the people. For many of the films, the filmmakers and subjects come to the screenings and answer questions afterwards, and hang around to talk after that. And the audience members are a varied, interesting lot. While waiting for the next movie, many people like to talk about what they’ve been seeing, what they’re about to see, and their lives. We’ve had many uncommonly enjoyable chats. Anyhow, we love it. 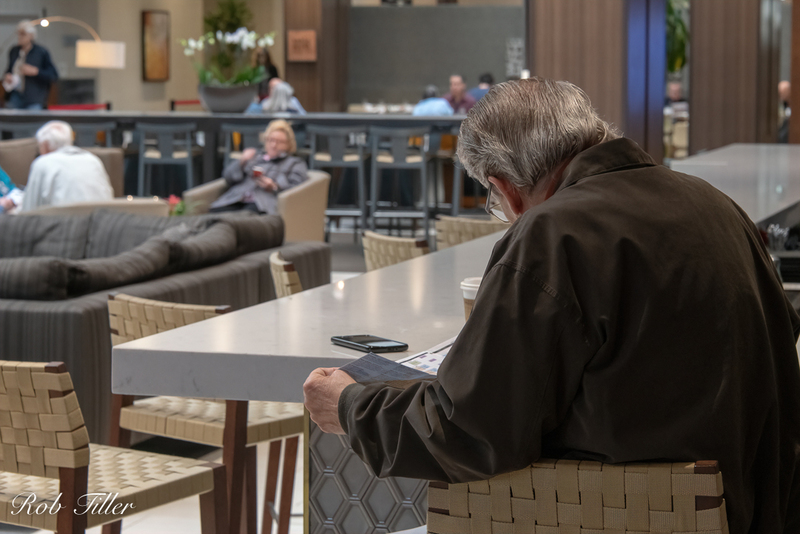 As usual, we booked a room in the downtown Marriott, which is physically connected to the Convention Center where most of the films are shown. We only went outside to eat or wait in line for the screenings in Fletcher (the largest hall). 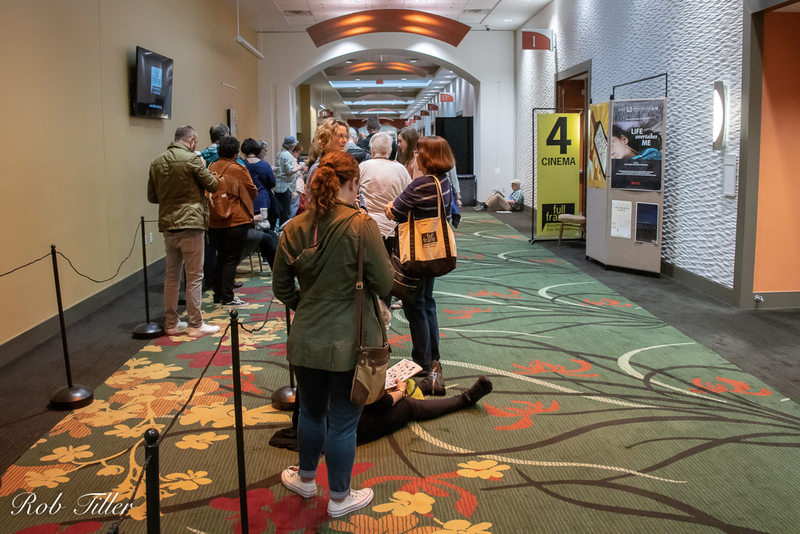 It took a certain amount of commitment to do five screenings on Friday and Saturday, starting around 10:00 A.M. and ending around midnight. And it was emotionally challenging, with some of the subject matter evoking strong feelings of regret and loss. But there were also moments of humor and a lot of rays of hope — examples of love, compassion, and organizing to do something about serious problems. Here are a few notes on my favorites. F/11 and Be There. This was a film about Burk Uzzle, a photographer who worked for Life Magazine and went on to a distinguished career in art photography and portraiture. He had a lot of interesting things to say and show about photography, including the primacy of emotional content and the connections to making music. He’s still going strong at age 80, and answered questions at the screening. Meeting Gorbachev. This is a bio documentary by Werner Herzog about Mikhail Gorbachev, the last leader of the Soviet Union. Gorbachev had a lot of intelligence and humor, and said some very timely things about stopping nuclear weapons. Human Nature. This was about gene editing with CRISPR-Cas9 technology. It’s a challenging but really important subject, comparable to the internet, just starting to change the world. The film does a great job at teaching the science basics and raising some of the difficult questions about where this technology might take us. Kifaru. This one treated the extinction of northern white rhinoceroses and humans trying to save them. I was amazed to see that these ancient and fierce-looking animals form bonds with their caretakers and play with them. The tone was gentle and elegiac, and the photography beautiful. We talked with some of the filmmakers and one of the Kenyan caretakers afterwards. It won the Festival’s Audience Award and the Environmental Award. Ask Dr. Ruth. There is only one Dr. Ruth, famous for her talk show on sexual problems, and this is her documentary biopic. As a child, she barely escaped the Holocaust, and her family did not. Now, at age 90, she’s incredibly warm, upbeat, and peppy. She spoke after the showing and made people laugh. I caught up with her as she was leaving and thanked her for the film and for making America a little less prudish and a little more joyful. She thanked me with her terrific smile. Hail Satan? This one is about the Temple of Satan and its leader, Lucien Greaves. The group is in part a satirical theatre challenge social conservative positions on religion and social norms, including their placing Ten Commandments statues on public property and restrictions on abortion and gay rights. It will upset fundamentalists and some others, and entertain others. Mossville: When Great Trees Fall. This is about the destruction of a thriving black community in Louisiana with the pollution of enormous industrial plants. The existence of environmental racism is not new but perhaps not widely understood, and this film does a great job in framing the problem on a human scale. It won the Festival’s Human Rights Award.